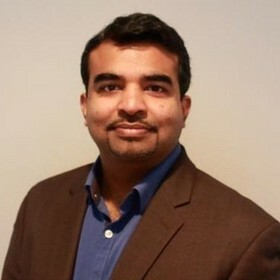 NEW YORK, NY--(Marketwired - Jan 11, 2016) - Hodes today announced that data and marketing technology expert Ajay Kutty has joined the company as senior vice president, Omnichannel Talent Platform. In this role, he is responsible for the management and ongoing development of the Hodes Omnichannel Talent Cloud solution -- an integrated solution for employer branding and talent marketing. "Throughout his career, Ajay has demonstrated an exceptional ability to design advanced technology solutions, drive revenue growth and build high-performing, globally dispersed teams," said Roopesh Nair, president and CEO of Hodes. "I am pleased to welcome Ajay to the team and confident that his extensive software development expertise will ensure that our Omnichannel Talent Cloud continually meets the evolving needs of today's employers as they seek to engage, attract and hire the best talent possible." Launched in October 2015, the Hodes Omnichannel Talent Cloud is designed to enable cross-channel, data-driven talent marketing through a personalized, seamless, mobile- and social-optimized experience. The solution consists of three core modules: Hodes Experience Manager, a comprehensive content management offering that provides a responsive career website, internal mobility and social engagement solution; Hodes Media Optimizer, using real time data to help optimize and automate talent media plan execution; and Hodes Analytics, delivering transparency to the omnichannel talent story, focusing on the employer brand-related key performance indicators of an organization. As senior vice president, Omnichannel Talent Platform, Kutty leverages more than 20 years of experience developing software solutions to drive ongoing development and optimization of cutting-edge platforms. Prior to joining Hodes, Kutty served as vice president, Business Applications for PTC, leading its Enterprise Applications group. He also had an extensive tenure at SapientNitro, building e-commerce software, marketing technology, complex data warehouse solutions and enterprise middleware products. Kutty earned a Bachelor of Engineering degree from Bombay University and an MBA from Columbia Business School. "Hodes has made a name for itself as an employer brand thought leader and provider of marketing technology solutions that enable employers to tell their story consistently across multiple channels and stand apart from the competition," said Kutty. "I am excited to join such a progressive-thinking organization at the top of its field, and help brands connect to talent using cutting edge technologies and creative thinking."